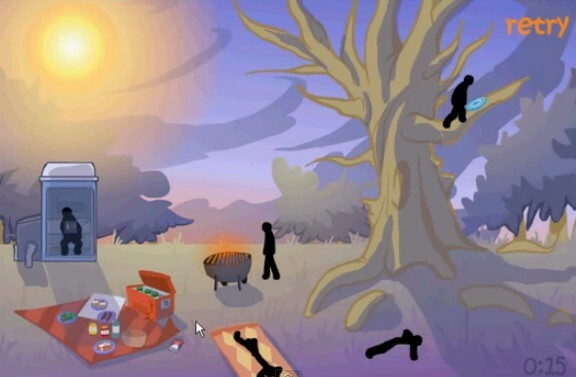 Click Death Park is another new point and click stick figure puzzle game from bored. This is one of the newest in the series of mayhem causing stick game but this time the setting is a peaceful park. A perfect place for barbecues, picnic, recreation and blood. Like any other ClickDeath games, this one tend to be challenging but nothing is impossible for a clever evil mind and nothing is stopping you from delivering the poor stick men to their demise. You will even use this Click Death Park walkthrough that I have prepared if need be.